Sadly neither of those days is today. However, I did receive a message informing me that yet another year has come and gone since I started down this whole blogging thing. I decided to celebrate by reflecting on my original goals and how life (and what I post about) has changed since then. 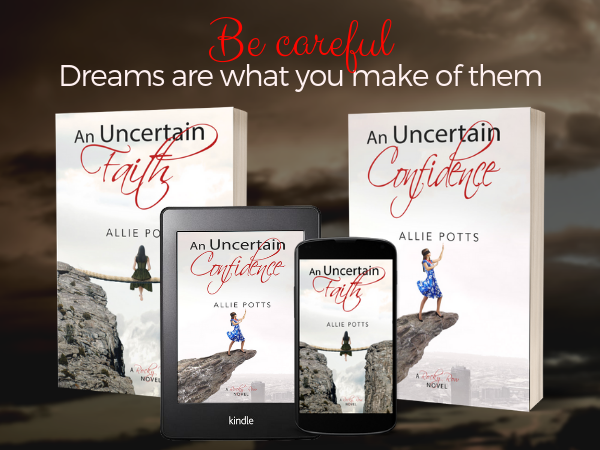 When I originally started out, my intent was to establish a platform in support of my novel, An Uncertain Faith, which is a women’s fiction / cozy mystery mashup (and its sequel is now officially out as well). As it was my first attempt at publishing a book, I knew I was in no position to proclaim myself an expert on either the writing or publishing process, but at the same time, I didn’t want to come across as someone who was simply winging it without a plan by sharing ALL the things I didn’t know. This strategy worked for me, though family anecdotes rarely go viral, and when they do, it is usually for the worst sort of things. Nonetheless, the content itself was easy enough to generate. All I had to do was look out my window or down the hall. My weekly posts became a sort of happiness journal – a reminder of all the things I was grateful for, and all the reasons I had to celebrate. 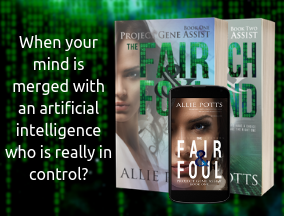 At some point, without intending it, this blog had stopped being a way to promote my books and my writing to a general audience but instead evolved into a way to promote myself to the internal me. I guess that is the magic of writing. You never really know what the end result will be until you first start trying. However, my kids started to grow up. They started to read. Even worse, they started having lives and personalities of their own. Unfortunately, a nagging thought began to take hold in the back of my brain: I’m their mom, and they’re still my kids, but was that really enough to give me the right to share their stories (beyond the basic funny thing they’ve said) with the general public, even if I am doing my best to protect things like their faces or their names? For a time, I thought so, but now I’m not quite so sure. And so, I’ve found myself scaling their stories back, though they remain ever at the forefront of my mind. At the same time, I’ve grown older evolved too. I’ve moved on from that earlier version of me, the one who didn’t know how much she needed the weekly written reminders of the small joys as much, if not more than, public acknowledgment of the major accomplishments. As a result, I’m continuing to give myself permission to mix things up from the way I’ve done them before. Therefore, while this post may have been prompted by a celebration of my blogging longevity, I’ve decided to relax my self-imposed rules for the balance of the year if not a few weeks longer. It’s not a hiatus per se, as I’m going to still try to post as I am inspired, but if life takes precedence over the written word some weeks, so be it. However, I am also considering posting on a different day or at a different hour, testing, and refining until I find the combination that works within my new normal. (I may also ask my boys to sign a waiver allowing their mother to post with their permission). Who knows what changes life may bring in the coming year? I sure don’t, and that’s okay. Thus far, not having all the answers has worked out for me far better than I could have ever imagined. I know this small decision might cause additional ripples of change in my future, however, I’m not worried. Because, while I might love consistency and know too well the benefits of having a set schedule can bring, of all the things I’ve learned over the years, appreciating the value of the small things (both the good and the bad) as much as the big things, is the one lesson this blog has taught me how to do best.